People with joint pain often dread cold, damp weather. Patients with arthritis often say they can predict the weather because they can feel more joint pain. Until recently, there were no formal scientific studies to back this up. In 2003, a scientific journal reported that scientists had found a parallel between atmospheric conditions and increased joint pain in rats. Five years later, researchers at Johns Hopkins University confirmed these results in people. Doctors of Chinese medicine, who see many patients with musculoskeletal problems, call this bi syndrome. According to the Chinese practice of medicine, bi is the result of a blockage of chi and blood. Patients with bi syndrome fall into subgroups. Some people get better with exercise. Others improve with rest. An accurate diagnosis of the bi subgroup can help the doctor choose the best plan of acupuncture and other traditional Chinese medicine methods to break the blockage in the affected area. Acupuncture is a type of medicine practiced by the Chinese since around 100 B.C. 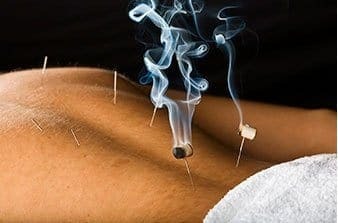 It uses very fine acupuncture needles placed at precise parts of the body. Numerous clinics offer acupuncture in NYC. Some individuals with arthritis do feel better for weeks, or even months, after treatment. Scientific studies on acupuncture benefits show that it releases the body’s natural painkillers, endorphins. Some of the systemic benefits of acupuncture occur when the needles stimulate the pituitary gland and other regions of the brain. By seeking alternative treatments, individuals suffering from musculoskeletal problems can enjoy, rather than dread, cold weather. They just will not be able to predict it!